HBO pulls out of ‘24/7’ for Capitals, Blackhawks; will NHL produce its own? HBO said on Thursday that it won’t produce “24/7: The Road To The NHL Winter Classic” for the 2015 outdoor game featuring the Washington Capitals and the Chicago Blackhawks. This ends a three-season partnership between the League and the cable network, which produced the four-episode series that brought viewers deeper inside their teams and players’ lives than anything previously attempted by the NHL. “Everybody at HBO enjoyed working with the NHL and its teams on ‘24/7’ the past four years. It was an exciting endeavor and we’re very proud of the never-before-seen presentation of the world of hockey that ‘24/7’ was able to capture,” said Ray Stallone, a spokesman for HBO. There are few television innovations the NHL has been involved with that rival the game-changing impact of “24/7.” It was the first time the character of the players, the intensity of the game and the orchestral vulgarity of the sport were married in the same program. The first edition in 2011 featured the Washington Capitals and Pittsburgh Penguins, catapulting then-Caps coach Bruce Bourdreau to stardom with his profanity-laced tirades (and BBQ-sauce covered face). 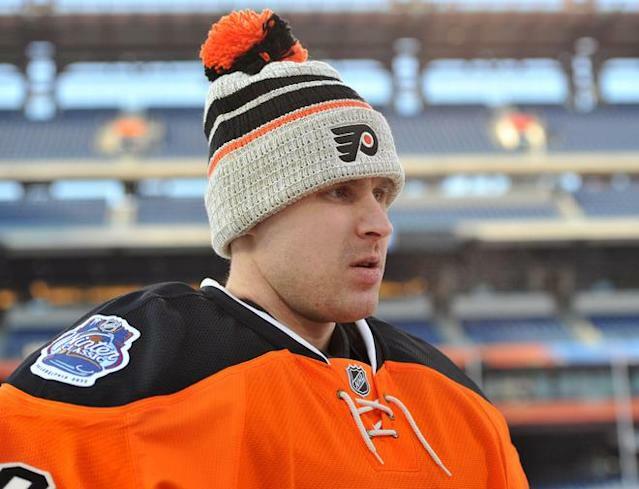 The New York Rangers and Philadelphia Flyers followed in 2012, showcasing the unique brand of whimsy from goaltender and part-time cosmonaut Ilya Bryzgalov. The third edition of the show in 2014, featuring the Toronto Maple Leafs and Detroit Red Wings, was considered a drop in quality – although that probably had more to do with the subjects involved than cracks in the format. The Washington Capitals and Chicago Blackhawks were chosen for the 2015 Winter Classic, and immediately speculation about the next “24/7” began. Patrick Kane on pay cable? A return engagement for the Capitals and Alex Ovechkin? Interest was growing. A report by Sports Business Journal in July quoted HBO Sports President Ken Hershman as saying, "We're having a series of meetings with the NHL discussing how we move forward on that project. … Hopefully, we'll have something to announce shortly." The announcement, alas, was that the NHL’s run on “HBO 24/7” would not continue this season. But will the reality show lead up to the Winter Classic appear elsewhere? The relationship between HBO and the NHL took a turn in 2011 when Ross Greenburg, the president of HBO Sports and creator of the “24/7” series, left the network to develop shows at his own production company. The NHL quickly partnered with him to create programming on NHL Network and on NBC Sports Network in the form of “NHL Revealed”, a show in the tradition of “24/7” that centered around the Sochi Olympics. The idea that the NHL would have a four-episode “24/7” of their own under the “NHL Revealed” banner isn’t an outlandish one. The question becomes how far they’d be willing to push the boundaries, considering how the appeal of “24/7” was in seeing and hearing the raw, seemingly uncensored coverage of the players on and off the ice. Would an “NHL Revealed” with bleeped out profanities have the same impact? Or does it come down what the cameras capture while filming?